Kaitlyn has been part of the Frontline Focus team since October 2014. In her current role, Kaitlyn contributes to FFTI’s capacity building efforts by creating and facilitating professional development courses for frontline workforce staff as well as running our Frontline Workforce Association (FWA) bi-monthly networking and training events. She regularly works with job developers and other social service staff to determine the resource and training needs of the field, and tries to develop new ways to fill in those gaps and better support frontline staff in their challenging work. Kaitlyn has always been interested in addressing issues of poverty and inequality, which was her focus of study at University of Chicago’s School of Social Service Administration. 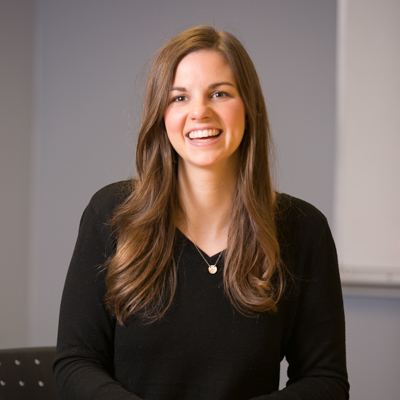 Before coming to CJC, Kaitlyn briefly worked in case management at LIFT Chicago and helped create and deliver a youth health and wellness program at the McCormick Tribune YMCA. Kaitlyn is constantly inspired by the creativity and perseverance of the job developers she interacts with – who, despite challenging political and economic systems, work tirelessly to help their job seekers gain quality employment. At 16, Kaitlyn got her first job as a sales clerk at a Hallmark store in Michigan.